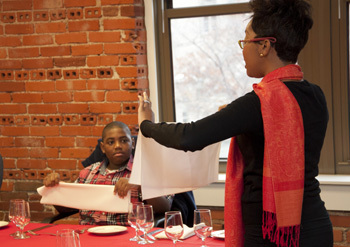 ARCHS' mentoring program taught youth associated with the Missouri Division of Youth Services (DYS) the etiquette of appropriate business dining manners on December 6, 2014. The youth learned about acceptable table conversation, utensil use, proper napkin use, glassware and tableware, and several ways to make a good impression when in a formal dining situation. Participants then put what they learned to use during a full meal complete with salad, a main entree, and dessert. Earlier this year, other participating youth learned about culinary at Dierbergs, robotics with the University of Missouri -St. Louis, toured to the Metropolitan, Education, & Training (MET) Center to learn about construction prep, and also St. Louis Community College to learn about computer science. To help determine what careers may fit their skills and interest, the youth took the Character Occupational Relationship Evaluation (CORE) assessment. ARCHS distributed 70 "Creative Expressions" giveaways in the month of November to its Educare providers. Included were musical instruments, books, crayons, paper, and other items that can assist young children with learning how to express themselves in their own unique ways. In order to receive a giveaway, Educare providers must have recently attended an ARCHS' support group meeting or received a site visit. 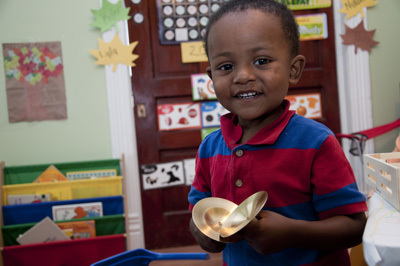 Last year, ARCHS provided technical assistance and professional development services that promoted quality and safety to more than 90 area state registered child care homes. 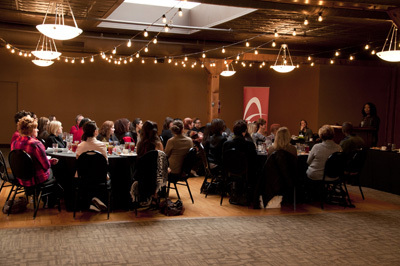 Read more: ARCHS Helps Educare Providers with "Creative Expressions"
ARCHS co-hosted a briefing about childhood obesity on November 14, 2014 at Beyond Broadway with the Missouri Family and Community Trust (FACT), Aetna, and Diet Free Life. The event was part of a five city tour conducted across Missouri that brought together more than 400 key community leaders for dialogue concerning ways to address the childhood obesity crisis. 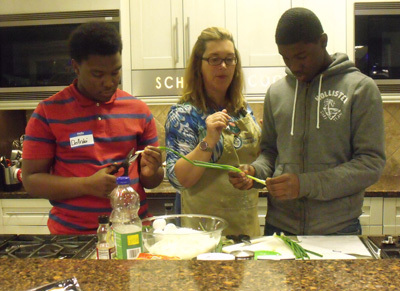 ARCHS' mentoring program helped youth associated with Missouri Division of Youth Services (DYS) fire up the oven and learn various culinary skills at Dierbergs Markets on November 22, 2014. The youth worked with two chefs to prep and prepare Mexican chicken wings, mixed green salad with homemade dressing, Italian pizzeria pizza, Chinese fried rice, gooey butter cake, and strawberry lemonade. After they were finished, the youth were able to eat the tasty meal they had prepared. Earlier this year, other participating youth learned about robotics with the University of Missouri -St. Louis, toured to the Metropolitan, Education, & Training (MET) Center to learn about construction prep, and also St. Louis Community College to learn about computer science. To help determine what careers may fit their skills and interest, the youth took the Character Occupational Relationship Evaluation (CORE) assessment. Area Resources for Community and Human Services (ARCHS) continues its investment across the St. Louis region in Fiscal Year 2015 (July 1, 2014-June 30, 2015), focusing more than $6 million in intensive, on-the-ground strategies designed to improve educational and economic growth opportunities for more than 90,000 vulnerable children, youth, and parents. A network of 200 organizations works with ARCHS in close collaboration to leverage programming, resources, and expertise that impact the region’s complex and interrelated challenges. 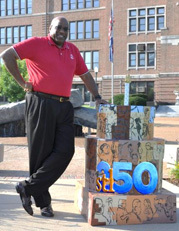 For 250 years, St. Louisans have fostered a spirit of self-improvement and community betterment. Since 1997 ARCHS has promoted innovation in local education and social services programs. This year we are building on ARCHS’ existing program design, management, and evaluation efforts that improve people’s lives every day. ARCHS has a well-earned reputation among its 10 funding sources for strengthening the rungs on the ladder of opportunity. 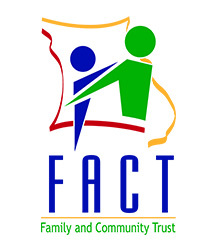 Through its relationship with the Missouri Family and Community Trust (FACT), ARCHS serves as the Annie E. Casey's Kids Count representative for the St. Louis region. As we celebrate this season of Thanksgiving, ARCHS wishes to further acknowledge the important work of our board, staff, funders/donors, program partners, and volunteers.